ELMSDALE, NS – Canada’s first brewery to be located inside a grocery store is getting set to open in in the small community of Elmdale, Nova Scotia. According to Maritime Beer Report, Chill St. Fresh Beer & Cider Market is being established by Barry MacLeod inside the Sobey’s at the Elmsdale Shopping Centre, a location that MacLeod chose in order to “bring the brewery to the traffic as opposed to trying to bring traffic to a brewery”. MacLeod tends to produce a core line-up that includes Blueberry Wheat, Pilsner, Pale Ale, Honey Brown Ale, White IPA, and Apple Cider on a SmartBrew system with four 10-barrel tanks. Several seasonals will also be offered, along with beer education, pairing tips, and merchandise. 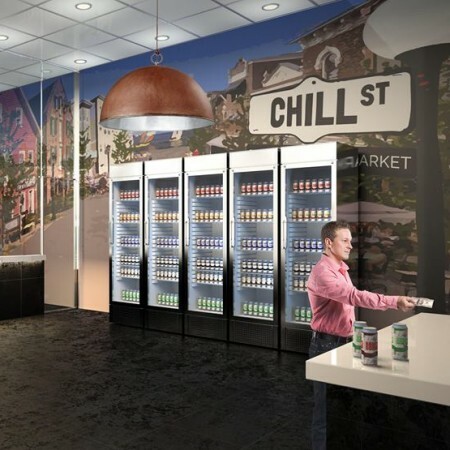 Chill St. is expected to open in June. For more details, see the Chill St. Facebook page.